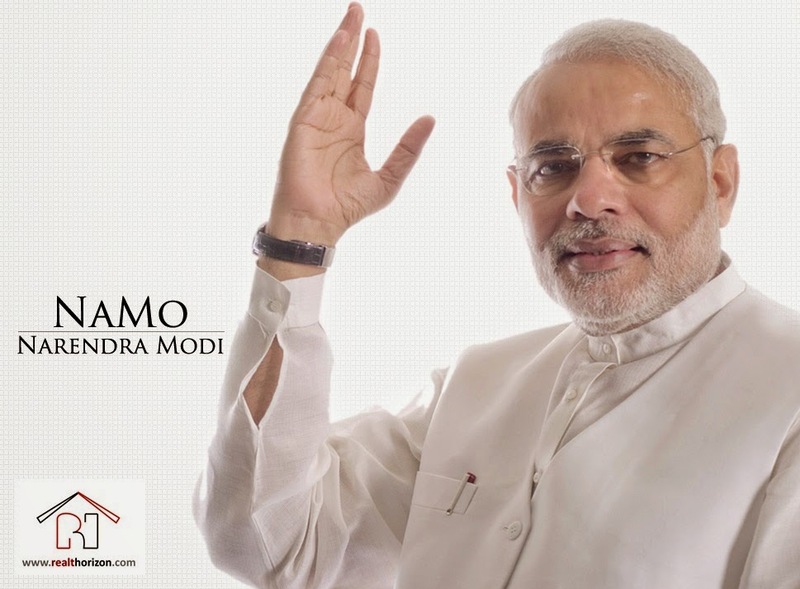 RealT Horizon: It’s Modi Sarkaar – Real Estate Prices are at War! It’s Modi Sarkaar – Real Estate Prices are at War! Confused? The elections are not over yet & we have published this post already! We agree that it is only a matter of time before the title of this post becomes a reality. The title of this post sounds a little lot controversial. We would request our readers to first spare few minutes to read this post before forming any opinion. #AbkiBaarModiSarkaar, #WeWantModi & other trends are trending high on Twitter & other social media these days. A lot of air has been created around Modi being the next Prime Minister of India & everyone (mostly) is speculating high gains & social development with a change in the governing body of India. #RealEstate is also no exception to the speculation. Analysts & specialists are betting on high gains in this sector too. This is due to positive sentiments & anticipation of new & investor-friendly Government policies. With a change in the Government of India, the much talked about FDI in Real Estate will become a reality & that will give a boost the Indian Realty Sector. With the improvement in infrastructure & basic amenities due to this foreign investment, many new housing & infrastructure projects will flow in the Indian markets causing the sector to lift up. One can easily notice the sudden increase in the realty sector of Indian markets. Reason – positive sentiments for the anticipated change in the government! As we have already communicated in our earlier post about NRIs <link>, the non-residing Indians already had an opportunity to make investments in real estate India the rising Rupee against Dollar is creating a virtual race among them to reserve a property for good investment as soon as possible. Moreover, as is a known fact that a major chunk of NRIs belong to Gujarat State of India. With the air of Mr. Narendra Modi becoming the next Prime Minister of India, all these NRIs are extremely keen on making the investments. Disclaimer: The above post is just a thought child of the writer & doesn’t have any political intentions. This is just an analysis of future possibilities in the real estate sector. Investors should make their calculations & analysis before going for any investments.